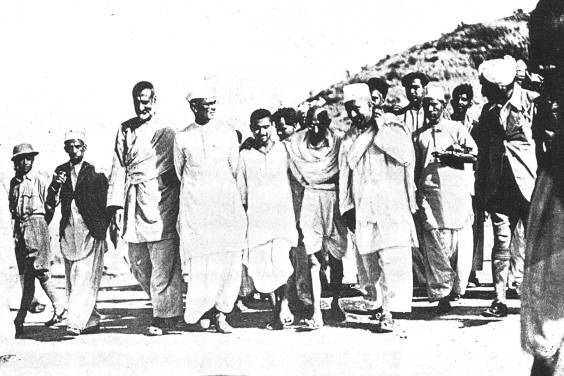 Mahatma Gandhi walking in the frontier provinces to make peace. January 30 marks an important day when one reflects on the tragic costs of intolerance and violence. In 1948 on this date, Mahatma Gandhi was assassinated. This brutal act shocked the whole world. A few months prior to this terrible deed, Gandhiji had managed to bring peace in the trouble torn Indian provinces where communities were torching properties and killing each other on the basis of religion. Hatred and intolerance was fanned around the country which had just emerged victorious against the mighty British empire through the use of nonviolence. But even in these troubled times Gandhiji was able to quell the violence through his unarmed interventions. Yet three bullets from the gun in the hands of a person obsessed by extremist views resulted in the death of this gentle, compassionate, giant of a man. Sadly 20 years later on 4 April 1968 Martin Luther King was also assassinated. Gun shots were fired at him. A man who to the end preached peace and reconciliation. In many parts of the world where compassion and sanity still prevail, this day is observed as a sad reminder that we still need to work hard to bring back the innate humane nature in humankind. At the Phoenix Settlement the very first ashram set up by Gandhiji a programme was organised involving the neighbouring community.